The fast fashion merchandise brand XIMIVOGUE recently launched in Sri Lanka. The new outlet in Maharagama was unveiled recently and accommodates various products such as household items, health and beauty, seasonal products, plush dolls and toys, digital accessories, bags and stationery. XIMIVOGUE, originally a Korean-based designer brand which was established in 2015, is headquartered at the Guangzhou International Finance Centre in Guangdong, China. Ever since the brand was launched globally, XIMIVOGUE has swiftly managed to gain immense popularity and has expanded extensively with over 1400 outlets covering over 47 countries and regions worldwide. 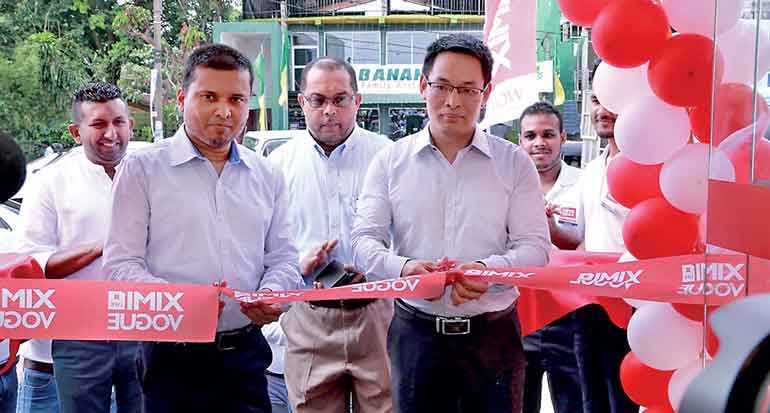 Commenting on the new brand launch in Sri Lanka, XIMIVOGUE Sri Lanka Managing Director M. N. M Nazmi stated: “Our focus has always been to elevate fashion and consumer shopping experiences and to offer something new to the people of Sri Lanka. With the launch of XIMIVOGUE in Sri Lanka, the country’s retail sector as well as savvy consumers will greatly benefit from quality, global designer products available at amazing prices, and all under one roof. We no doubt believe that this new brand will grow on the public and give each shopper the chance to experience what it is like to shop at a designer branded outlet right here in Sri Lanka. “ Within a short period of time, the lifestyle brand has penetrated into markets spanning Australia, Israel, Singapore, Russia, Iran, Malaysia, Dubai, Nepal, Turkey, Thailand, Indonesia, Oman, Kuwait, Saudi Arabia, Vietnam and many more. A special attribute that XIMIVOGUE products entail is the product quality, and with the brand being known internationally, it ensures that these quality products are available at reasonable prices. Another special feature that Sri Lankan consumers can anticipate from XIMIVOGUE is that the designs found here have been created by Korean designers and manufactured in China. Sri Lanka has always been acquainted with Korean culture, especially through entities such as Korean drama, cuisine, and even Korean music, collectively called K-pop, so consumers can yet again enjoy another dimension of Korea from the whole XIMIVOGUE experience. XIMIVOGUE is mainly popular across the world among consumers aged between 12 and 40. However, there is no question that the unique and chic products found at XIMIVOGUE will cater to everyone, irrespective of age. The lifestyle brand also ensures that customers who visit the store regularly would be surprised to find new products on display in keeping with global evolving trends and fashion mannerisms. This keeps in line with XIMIVOGUE’s focus on releasing around 800 new items each month globally and the Sri Lankan outlet will also be able to relish some of these amazing products as a result.